Greece has used the Drachma currency as money dating back to ancient Greece. Few currencies have as long of a history as the Greek drachma. The 1944 Greece 500,000 Drachma was printed near the end of World War 2. The 1944 Greece 500,000 Drachma banknote was printed near the end of World War 2 during German/Italian occupation of Greece. Hyper inflation plagued Greece from 1941 until the end of the war leading to the rise of higher denomination printing. The 500,000 Drachma was printed by the Bank of Greece and used until currency reform in 1953. 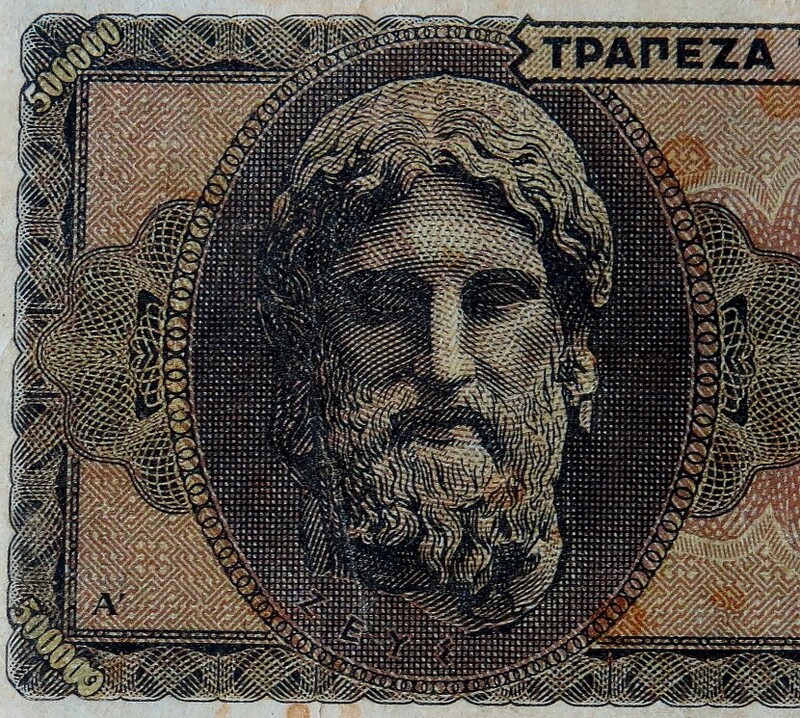 This banknote features the Greek god Zeus on the front. Zeus is known as the god of sky and thunder, the king of gods, and the ruler of Mount Olympus. Why is this banknote important? The increased use of digitized money is making actual printing of banknotes obsolete. Paper money is a growing area of collectibles. A country’s currency represents the history and culture of that area. The 1944 Greece 500,000 Drachma is over 70 years old and a reminder of World War 2 and ancient Greek mythology. Read more about Greece, money, World War 2, and Greek mythology!